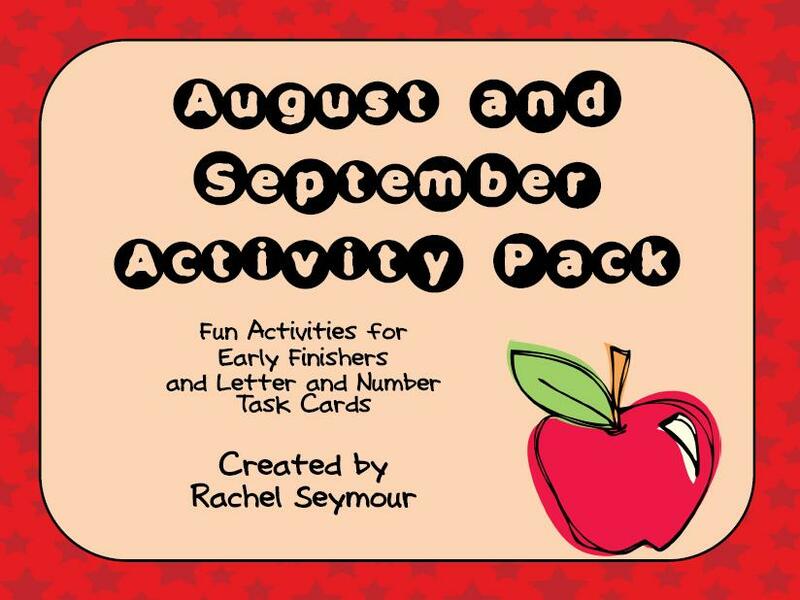 A - B - Seymour: August and September Activity Pack and Congrats to a Friend! 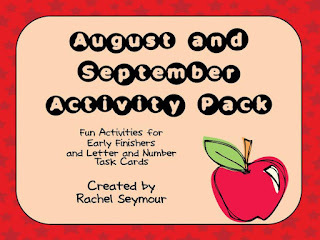 August and September Activity Pack and Congrats to a Friend! I have finally finished my August and September Activity Pack! I decided to combine both months since many don't start school until September. This is the pack I give my kiddos to work on when they finish their work early or when I need a few minutes to conference or progress monitor a kiddo. My students always love their monthly packs. I've also included letter and number task cards for back to school practice. Some of my kiddos need a little extra practice so we will be using them in small groups and I will be sending a few home to be practiced with their parents. I'll give away 2 packs for free to the first 2 people who comment and leave their email address! I also wanted to say congrats to my friend Nicole who was mentioned in the TpT Newsletter this morning! That is so exciting! She's new to TpT and is our Speech Therapist at my school. 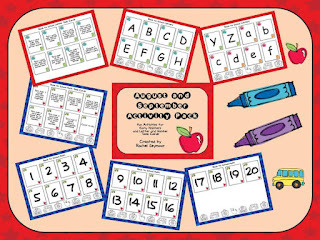 Go visit her blog and or TpT store for some great goodies. 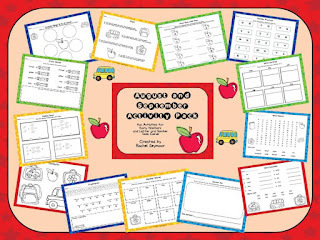 She has great tools for regular education teachers too so go visit and say hi! I love your packs! Thank you! Thanks, ladies! I'll send it to you soon!